Interstate 95 runs east-west across the southern coast of Connecticut. 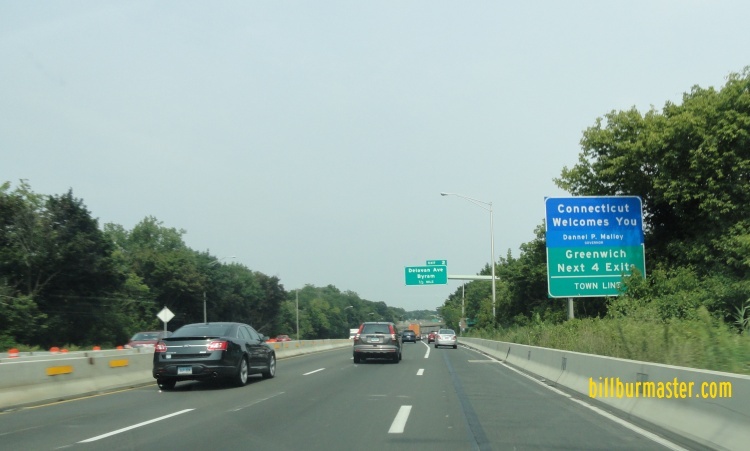 The portion of the highway from the New York State Line, at Greenwich, to East Lyme, is part of the Connecticut Turnpike. 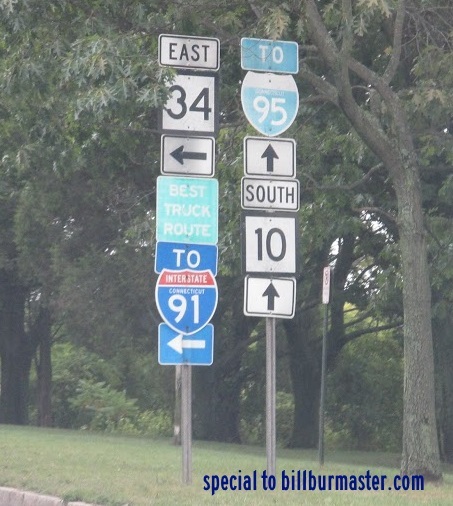 While in Connecticut, I-95 is multi-plexed. ...U.S. Rt. 1, near Old Lyme. ...U.S. Rt. 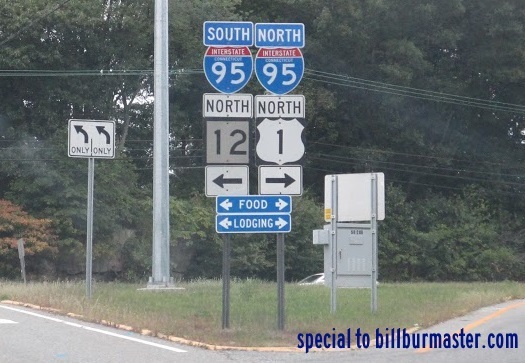 1, near New London. 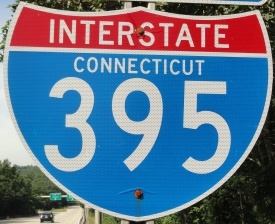 In Connecticut, Interstate 95 crosses the following interstates. 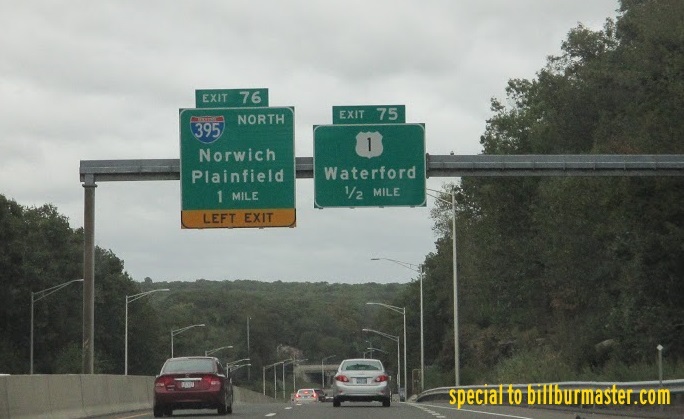 Interstate 91, near New Haven. 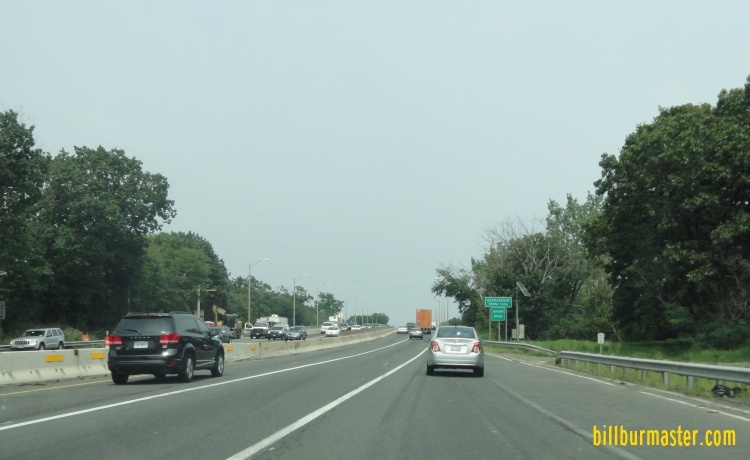 Interstate 395, near East Lyme. 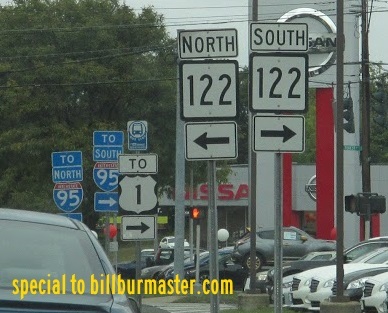 NB I-95 one mile from I-395. 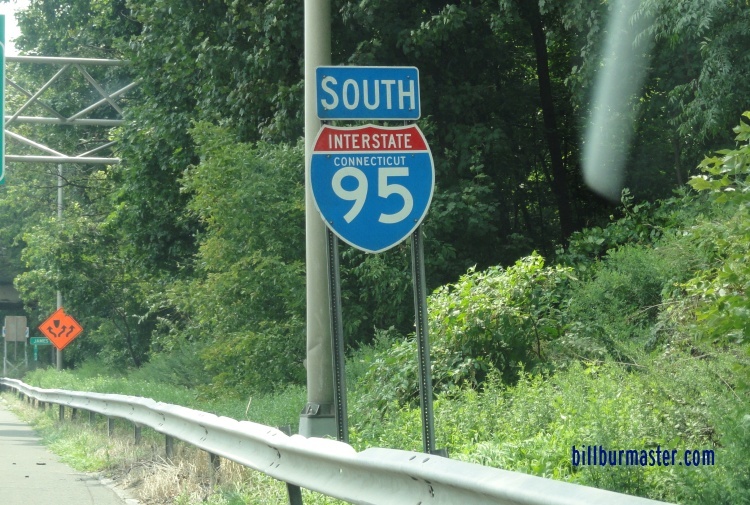 A BGS for I-395 on NB I-95. A BGS on NB I-95 at I-395. 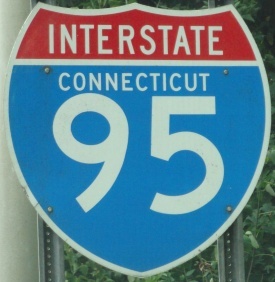 Branches of I-95 in Connecticut. 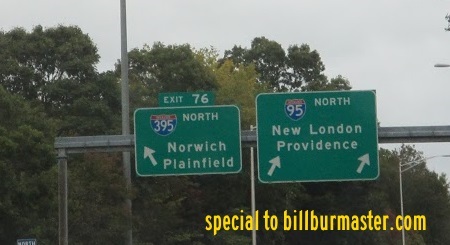 NB I-95 at the New York/Connecticut State Line. 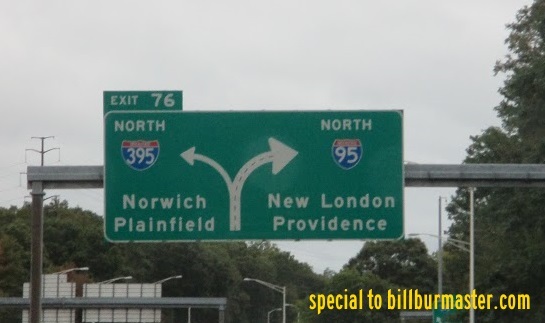 NB I-95 at the Connecticut Welcome Sign. A guide marker in Stonington.